Salon Son & Image 2015 SnapShots! Triode Lab used Salon Son & Image 2015 to debut the 2A3 Mono Blocks-FFX mono amplifier, which is made entirely in Canada. This 2A3-based SET design is said to have a nominal power rating of 4.5W and a maximum power rating of 6W -- obviously, ultra-high-sensitivity speakers are a must. One thing we found interesting about the 2A3 Mono Blocks-FX is that its power-cord receptacle and speaker-cable output jacks are not on the rear panel as they are with most amps, but toward the back of the top plate. The 2A3 Mono Blocks-FX amp retails for $5999 USD per pair with standard passive components, but can also be ordered with premium passive components for an extra charge. An early prototype of PS Audio's BHK Signature 250 power amplifier, which Bascom H. King designed, was at CES 2015, but the latest version shown at SSI 2015 is said to be much closer to the final design, which will begin shipping in June. 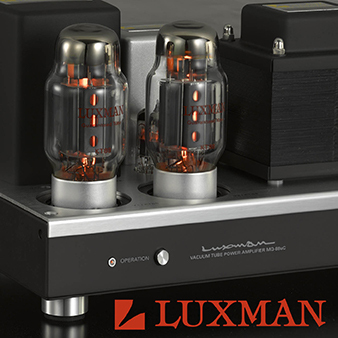 The Signature 250 is . . .
. . . a hybrid design -- it has a tube-based input stage and a MOSFET-based output stage. The Signature 250 is a fully balanced design from input to output, and is said to be able to deliver up to 250Wpc into 8 ohms or 400Wpc into 4 ohms. The 250's price in the United States, when it's released, will be $7500. Tri-Art Audio, which is based in Kingston, Ontario, Canada, makes products that are unique in every way: build, appearance, sound, and even name. The Bam Bam 5-Open speaker is the largest and most expensive in the company's new Bam Bam Open series, which also has the 4-Open, 3-Open, and 2-Open speakers below it. Like all of Tri-Art's products, the 5-Open is constructed primarily from bamboo. It has a supertweeter, a 1" soft-dome tweeter, an 8" wide-band driver, and two 12" bass drivers. The price per pair for the 5-Open in both Canada and the United States is $3400 without crossover. The price for the 5-Open's external crossover has yet to be firmly established, but the estimate is that it will cost approximately $600 in Canada and the United States. As you can see from the photos, this speaker is definitely unique! Tri-Art Audio also showed the new Bam Bam TA-2 turntable, which is priced at $1925 without tonearm, or $2500 with a 9" TA-2 tonearm. If the 9" TA-2 is purchased separately, the price is $625. There is also a 12" TA-2 available for $675. Like all of Tri-Art's products, the turntable and tonearms are made from bamboo. The predecessor to Dared's new Saturn Signature integrated amplifier, the Saturn, used KT120 output tubes and output 20Wpc into 8 or 4 ohms, while this new model uses KT150 output tubes, which output up to 25Wpc into 8 or 4 ohms. 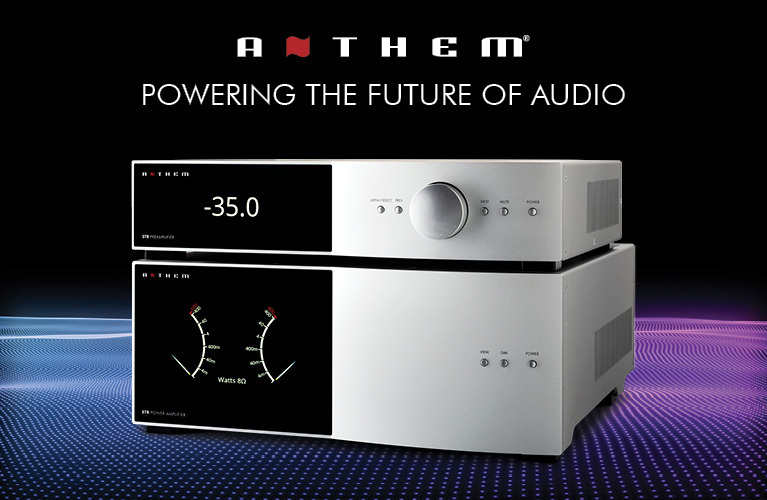 The Saturn Signature is a class-A design featuring four single-ended line-level inputs, 8- and 4-ohm output taps, a headphone jack, and a USB DAC, which is said to support PCM up to 32-bit/384kHz resolution. The price of the Saturn Signature is $3995 in Canada. Bryston's BDA-3 digital-to-analog converter was announced several months ago, but has not yet been completed. When it is completed and shipping, which Bryston estimates will be within the next two months, it will support up to 32-bit/384kHz PCM and DSD256 through its USB input, SACD through its HDMI input, and up to 24-bit/192kHz PCM through the S/PDIF inputs. The price for the BDA-3 will be $3195 in the United States. Deep Space Audio, a brand new speaker maker based in Quebec, Canada, made its debut at SSI 2015 with the DS-1 loudspeaker, a three-way design with a cabinet constructed from 1.5"-thick Russian plywood. The DS-1's drivers are all sourced from Scan-Speak: a 1" cloth-dome tweeter, a 4" paper-cone midrange, and a 10" carbon-injected paper-cone woofer. The DS-1's . . .
. . . crossover is external, mounted on the backside, and filled with high-quality components. A clear-finished version of the DS-1 shows the plywood construction. The DS-1 has a retail price in Canada of $20,000 per pair and is available now. We first learned about IsoAcoustics and their tiny, innovative aluminum stands when SoundStage! 's Wes Marshall obtained a pair of ISO-L8R200s for SoundStage! Xperience (his article will appear on that site on April 1). 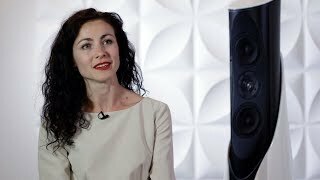 At SSI 2015, IsoAcoustics introduced the Aperta model, which is available in black or silver and costs $200 per pair in Canada and the United states. According to IsoAcoustics' literature, its goal with its stands is to improve the performance of speakers by "responding to movement and vibrations while providing a high level of acoustic isolation." To demonstrate the effectiveness . . .
. . . of the Aperta, two pairs of Focal Aria 906 monitors were set up side by side on the same kinds of speaker stands for quick A/B comparisons. One pair of speakers had wood between the speakers and the stands, while the other pair had the Apertas between the speakers and stands. From the photo, you can see both were at the same height. The sonic difference wasn't subtle: the pair with the Apertas sounded quite a bit tighter in the bass and cleaner in the lower midrange. Impressive! Soltanus Acoustics' founder and chief designer, Zoltan Mikovity, said that his ESL Virtuoso loudspeaker was inspired by the classic Quad ESL-57, which he found himself repairing often in his home country of Serbia. 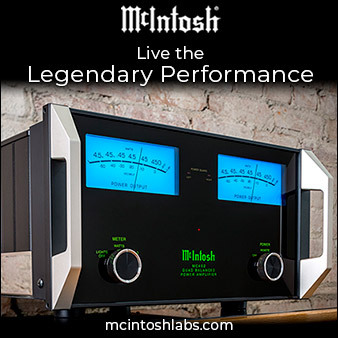 The ESL Virtuoso is a two-way, full-range design that . . .
. . . can be run crossoverless if the amplifier's damping factor is high enough -- you connect the speaker's wires to the bottom two posts. If not, you turn the topmost knob, which kicks the crossover in, and you connect using the bottom and top posts. The lower knob adjusts the sensitivity of the midrange-tweeter panel -- which, in turn, adjusts the level of those frequencies -- for a little bit of tuning, depending on the room. The ESL Virtuoso sells for $10,995 per pair in Canada. 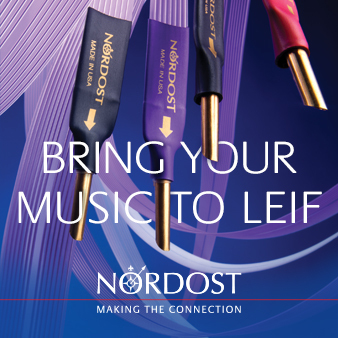 Knut Skogrand, founder and chief designer of Skogrand Cables, told us that he used his expertise obtained while working on signal-transmission projects for Norway's government for his passion: audio. The result is a full line of cables, including his newest digital cable, called Grieg, which features . . .
. . . 24 single-crystal pure copper conductors "floating in air," to offer optimum dielectric properties. The Grieg's connectors are made of rhodium-plated copper. According to Knut, it's a perfect 75-ohm digital cable. The US price for the Grieg ranges from $2300 for 1m to $3300 for 3.5m. Network players are coming of age, and they're also getting cheaper. Marantz's new NA6005, priced at $649 in the United States, can be hooked up with wires (Ethernet, USB, TosLink) or wirelessly (Wi-Fi or Bluetooth). 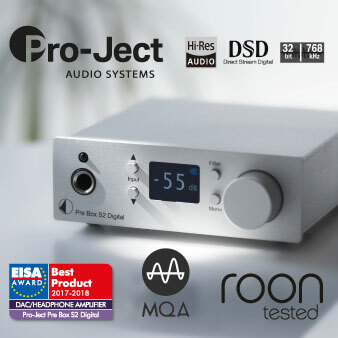 It can also support PCM up to 24-bit/192kHz resolution and DSD at up to 5.6MHz, and it supports DLNA, Internet Radio, Spotify Connect, and AirPlay. It even has a headphone amplifier. Wow! Talk about features. Sony's Walkman NW-ZX2 isn't brand new, since it debuted at CES 2015 in January, but this is the first time we actually examined it. We were impressed -- its build is top quality, the way it feels in your hand is superb, and its feature set is impressive. The ZX2 supports high-res PCM formats up to 24-bit/192kHz resolution, and, not surprisingly, it also supports DSD, as Sony, with SACD, invented the format. It comes with 128GB of storage, but there's also an SD slot, which will support cards up to 128GB. The ZX2 isn't cheap, mind you -- $1199 in Canada. Still, Astell&Kern is selling portable players for quite a bit more, so there's obviously a market there.